Every year, on June 21st, communities come together to recognize Canada’s First Nations, Inuit, and Métis people. These groups are acknowledged by the Canadian Constitution as Aboriginal peoples, also known as Indigenous peoples. 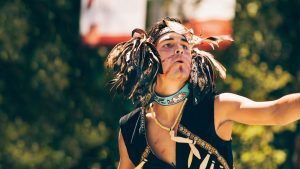 National Indigenous Peoples Day (NIPD) celebrates and honours Indigenous people’s cultures, traditions, spiritual beliefs, and contributions to Canada as a nation. 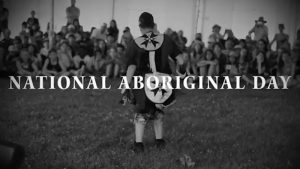 National Aboriginal Day (NAD) was announced in 1996 by the Governor General of Canada, Roméo LeBlanc, through the National Aboriginal Day Proclamation. Cooperating with Indigenous organizations, the Government of Canada chose June 21st, the summer solstice, as NAD. For generations, many Indigenous peoples have celebrated their heritage and traditions on or around this day because the summer solstice is the longest day of the year. Then, on June 21st, 2017, Prime Minister Justin Trudeau announced the renaming of this day to NIPD. According the 2016 Census, more than 1.67 million people in Canada identify themselves as Aboriginal. Aboriginal peoples are the fastest growing population in Canada, increasing by 42.5% between 2006 and 2016. This also represents the youngest population in Canada, with about 44% being under the age of 25 in 2016. Find a National Indigenous Peoples Day Celebration Near You! Need Flags for Your Celebrations? 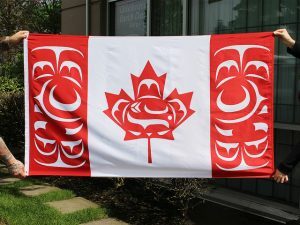 The Canadian Native Flag is manufactured by, and exclusive to, The Flag Shop. 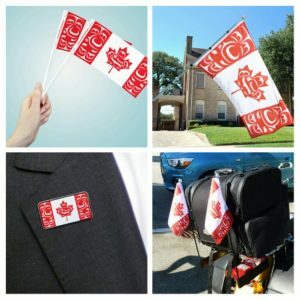 Take a closer look at the full range of Canadian Native Flag products, including motorcycle flags, paper stick flags, lapel pins, and even temporary tattoos! If you enjoyed this blog, and would like to read more interesting stories about flags, and events in your community, subscribe to our blog in the upper right corner of our blog page at: blog.flagshop.com. It’s quick and hassle-free! And, don’t worry, if you’re not captivated by every word, unsubscribing is just as easy! You are currently browsing the The Flag Shop Blog blog archives for June, 2018.